NEW ROOF 1/19, BSMT ANDERSEN WINDOWS/SLIDING GLASS DOOR 1/19, WATER HEATER/TANK/SOFTENER 12/18, insulated GARAGE DOOR 10/17, GUTTERS 7/17! SEPTIC IN PROCESS OF REPAIRS. Beautiful, 3 bdrm, 1.5 bath, bi-level home with oversize garage. Corner lot, close proximity to NY and PA! Rt 23, 84 & 206 for access to multiple locations within tri-state area. 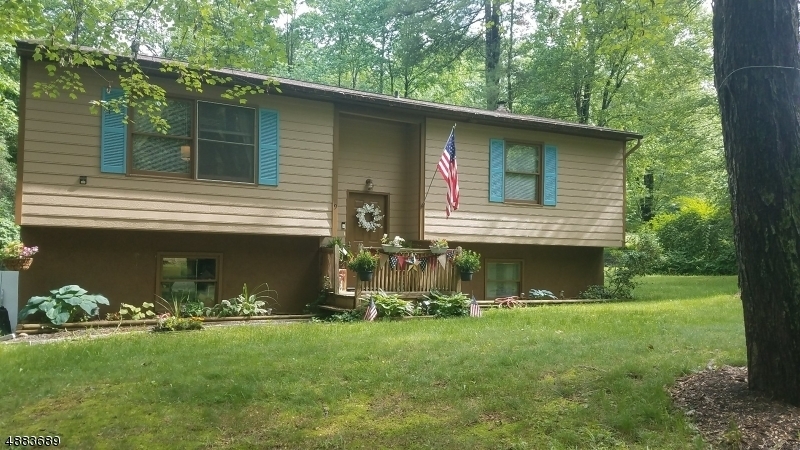 Close to Port Jervis train station: access to Penn Station, Delaware River and state parks for hiking, fishing, boating, camping, hunting and more! Close to neighborhood schools. 0.7 acre lot with removable backyard fence. Basement is partially finished; generator hookup, wood stove, pellet stove, electricity, bathroom. Incentives: kitchen stove, microwave, dishwasher, 2 refrigerators, washer/dryer, 2 outdoor sheds, patio, & zero-turn CUB CADET lawn mower/snow plow.